Comment: The siding is being replaced on our condo/townhome. We need someone that can remove our 4 window screen and 2 sliding door screens by tomorrow morning, so that the siding work can done without harming the screens. Comment: I need 2 windows replaced, as well as the patio door. Comment: Selling home but need 2 single pane windows replaced 1 has a crack and the other broken out completely. Since selling we are on a tight budget. Email xxxxxxxxxxxxxxxxxxxx with estimate and time frame. Comment: 15 windows, double hung. One patio door. Vinyl or fiber mix. Schaumburg Window Replacement Companies are rated 4.76 out of 5 based on 2,035 reviews of 69 pros. 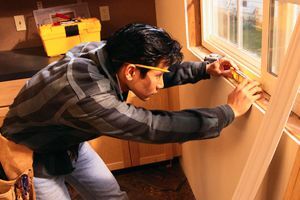 Not Looking for Windows Contractors in Schaumburg, IL?